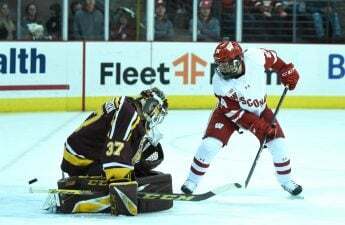 The Badgers began this season with sky-high expectations that come with a No. 4 ranking in the preseason poll, but 10 weeks into the season, they are nowhere near contention for the College Football Playoff. Inexperience and injuries have taken a toll on the season as the Badges have failed to rise to just about any challenge they have been faced with this season. But the Badgers are still 6-4 and in a great position to finish with a winning record for the 17th season in a row. So, let’s think about some silver linings from this season. After finishing third in the nation last season with almost 2,000 rushing yards as a freshman, the expectations for Jonathan Taylor were sky high for 2018. Taylor has lived up to all of that hype. He is currently leading the NCAA with 1,548 yards and doing so on an impressive 6.8 yards per carry. Given that he has gotten more carries than anyone else in the country, the fact that he is able to remain so productive is remarkable. 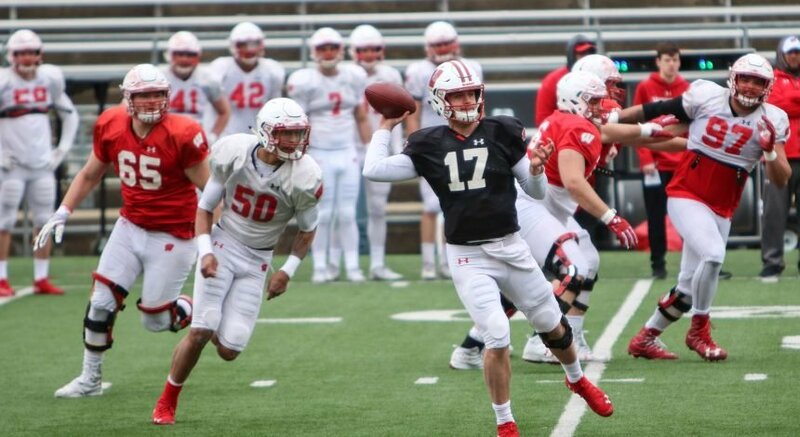 The injury to quarterback Alex Hornibrook has made defenses focus even more exclusively on Taylor than before, and he has remained extremely effective regardless. Taylor is also likely to surpass his 2017 total of 13 touchdowns, given that he already has 12 with two games to play. Many things have gone wrong for the Badgers this season, but Taylor has not been one of them. The exciting storyline often required for a Heisman has not been there for Taylor this season, but the production has. If Taylor gets the right team around him during his time in Wisconsin, he will surely be a top contender for the award for the nation’s most outstanding player. The Badgers lost one of the best tight ends in college football to the 2018 NFL Draft, when the Broncos took Troy Fumagalli in the 5th round. Fumagalli led last year’s Badgers with 46 catches for 547 yards and four touchdowns and was Hornibrook’s go-to target all season long. As far as Wisconsin receiving targets go, this was a massive hole to replace and Jake Ferguson has done as good of a job as anyone could have expected in this role. Despite being just a freshman, he has tallied 27 catches for 379 yards and three touchdowns in his first ten games as a Badger. Ferguson came ready to produce from the moment he stepped on the field. He leads the team in catches and is tied for the lead in receiving touchdowns. 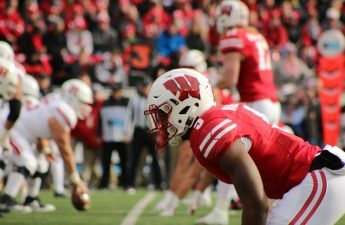 Ferguson has done everything asked out of him this season and will almost certainly play a key role in the Badgers offense for the next few years. Most Wisconsin fans can agree on our dislike for University of Iowa’s football team, so it’s always very satisfying to be able to go into their house and break their hearts in a comeback victory. 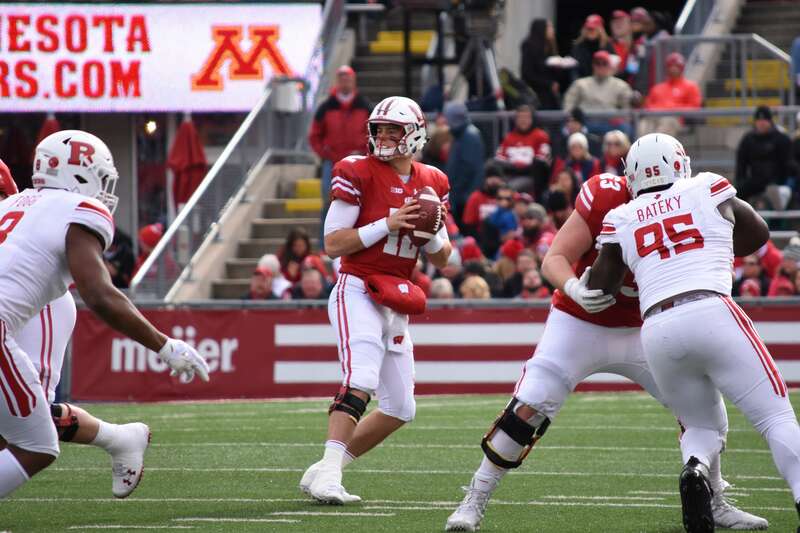 Hornibrook proved his doubters wrong and pulled off an impressive 88-yard drive to go up by four points with under a minute remaining. 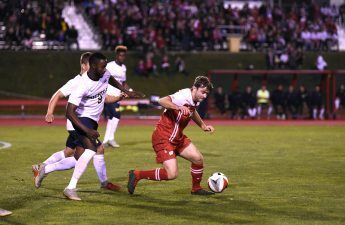 This came off a very disappointing home loss to Brigham Young University and was a much-needed victory and morale boost for the team. Though this win won’t amount to an appearance in the Big Ten Championship, it will give Wisconsin the tie-breaker over Iowa in the Big Ten standings, which is a silver lining I can live with. The Badgers may not have risen to the occasion in any other road game this season, but at least they showed up to ruin a Saturday for Iowa.